Andrew wonders what happens now. Sam assures him that she loves him, but accidentally calls him Jason. Andrew questions what to tell Danny, and Sam swears they&apos;re in it together. Andrew says he won&apos;t stand in her way if Sam wants to go back to Jason. Sam says her love for Jason was five years ago and she now loves Andrew. Oscar buys an over-the-counter DNA test to find out if Andrew is his father. Michael runs into them and confirms that the Jasons know who they are. Alexis runs into Jason. She admits she&apos;s relieved to hear Sam and Andrew are together. Alexis explains what Sam went through after Jason "died" and that she has a new life now. Alexis asks Jason to stay away because he puts Sam&apos;s life in danger. Alexis says Sam feels safe now and tells Jason to let her go. Liz thanks Franco for helping out with the Jason reveal and for dropping the charges. Robin overhears and ask for details. 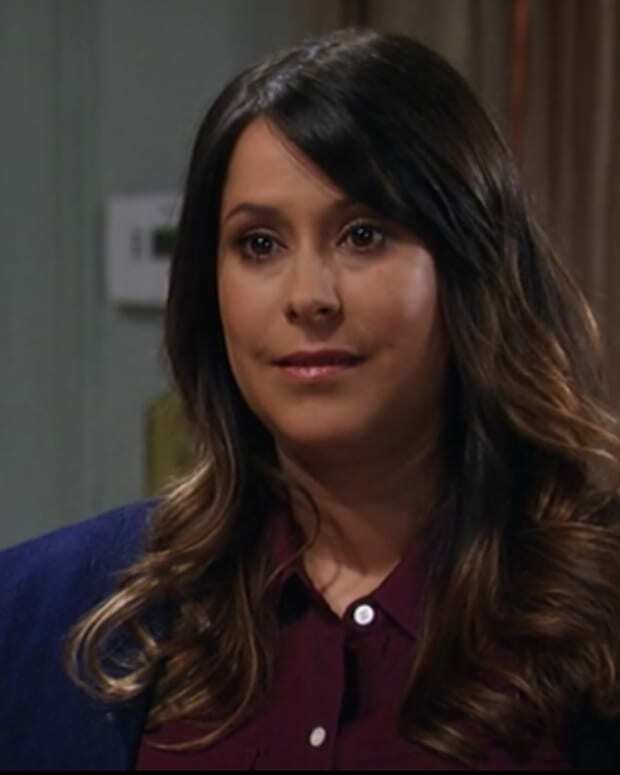 Liz explains about Andre&apos;s involvement. Robin points out that none of this is Jason&apos;s fault. Robin tells Liz to let Jason into Jake&apos;s life, but Liz says she&apos;s stuck between Jason and Franco. Robin says Jason would never hurt Jake and would stay away, but she doesn&apos;t feel that&apos;s what&apos;s best for Jake. Robin asks about Franco and Liz waxes poetic about her serial killer boyfriend. She feels she has a partner and can&apos;t imagine life without him. Nelle tells Michael that she has a Christmas present for Joss that she ordered before they broke up. Michael feels she should give it to Joss, which she does. It&apos;s an autographed photo of Shawn Mendes, which scores points with Joss and Michael. Later, Nelle shows us the pen she used to forge the signature. Franco pays Andre a visit in lock-up. He wants to know why he didn&apos;t spill the beans about what he knew. Andre says it wasn&apos;t Franco&apos;s mess to clean up. Andre thinks Franco should tell Liz the truth. Franco says he threatened by the Jasons and their past with Liz. Andre says if Franco doesn&apos;t tell Liz, it will eat at him. Sam admits to Alexis she feels overwhelmed. Alexis tells her Jason won&apos;t change and Sam needs to think about her children. Liz proposes to Franco, who accepts. Oscar and Andrew run into each other on the bridge. Sam runs into Jason on the docks. He assures her that everything will work out.